Fear and Fantasy: The Electric Sheep Film Show is back tonight with a packed programme. 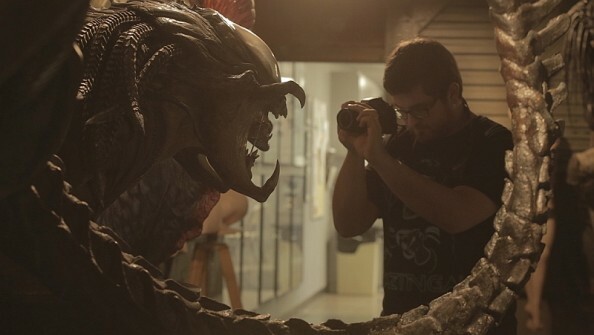 Virginie Sélavy talks to Secretary director Steven Shainberg about his new film Rupture and takes part in a Q&A with director Guillermo del Toro about the documentary Creature Designers: The Frankenstein Complex, recorded at Fantasia Festival, Montreal. Plus, Alex Fitch discusses the comprehensive history of Tarzan on Film published by Titan Books, with author Scott Tracy Griffin. The Electric Sheep Film Show is broadcast every third Wednesday of the month, 5.30-6.30pm at Resonance FM 104.4. Next date: Wednesday 19 October 2016. This show was first broadcast on Wednesday 21 September 2016.